No promotional item is as "cool" as this icy massage ball! Loosen up tight or sore muscles with a logoed massage ball. 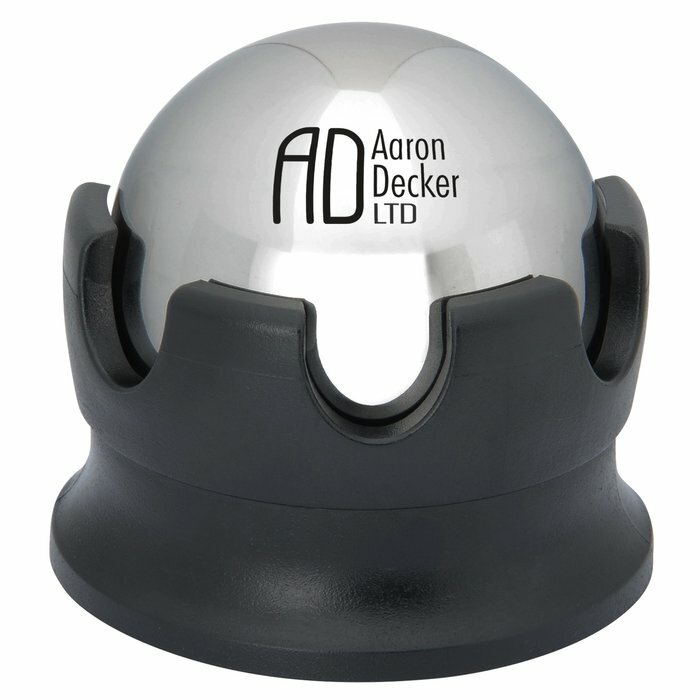 This massage ball is made from stainless steel and fits tightly into the holder. 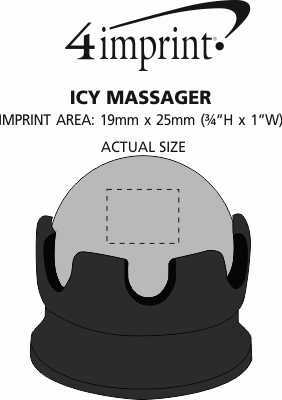 To use the massage ball properly, simply freeze the ball then apply it to the sore/tight area. Both compact and portable, these custom muscle soothers are small enough to keep in a gym bag or locker. Cooling liquid is included inside the roller ball. Roller balls should be removed from the holder before freezing. Size: 63 x 63mm (2-1/2" x 2-1/2"). Your price includes a one colour imprint on the roller ball.